As a work-at-home mom, I’m serious about my little one’s nap schedule. In fact, I’m downright strict about it. I strategically/crazily/obsessively shape the entire day around her routine in an effort to maximize those precious zzz’s. Truth is: If Baby doesn’t get her morning and afternoon beauty sleep, Mama misses out on some quiet me-time and some quality blogging time. It’s a lose-lose situation that results in both of us acting cranky and irritable. 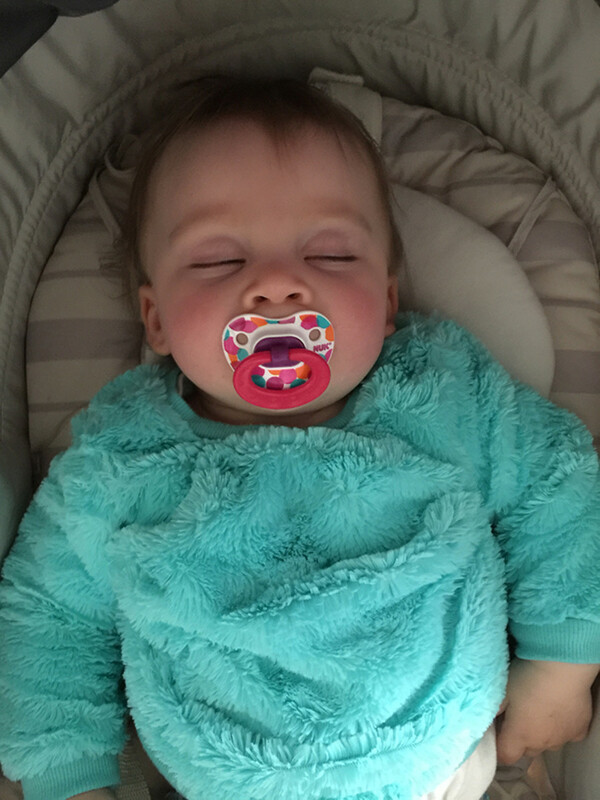 So, yes, napping is vital to our mutual mother-daughter happiness—not to mention my productivity level. 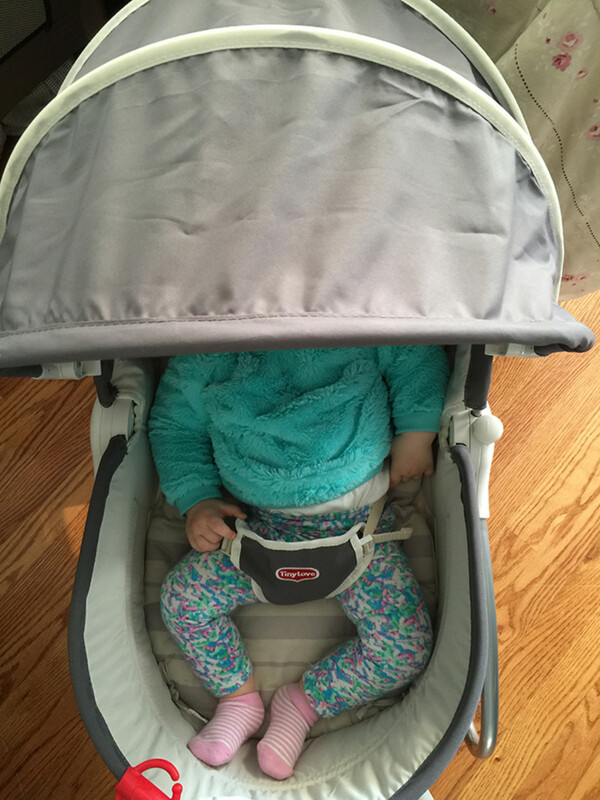 Problem is: sometimes, Little P just doesn’t want to nap in her crib. She’s a particular one that baby of mine, and she wants to be rocked and coddled and nestled and cozied up in Mama’s company. I’m flattered and all… but, well, I JUST NEED TO CHECK MY EMAIL. 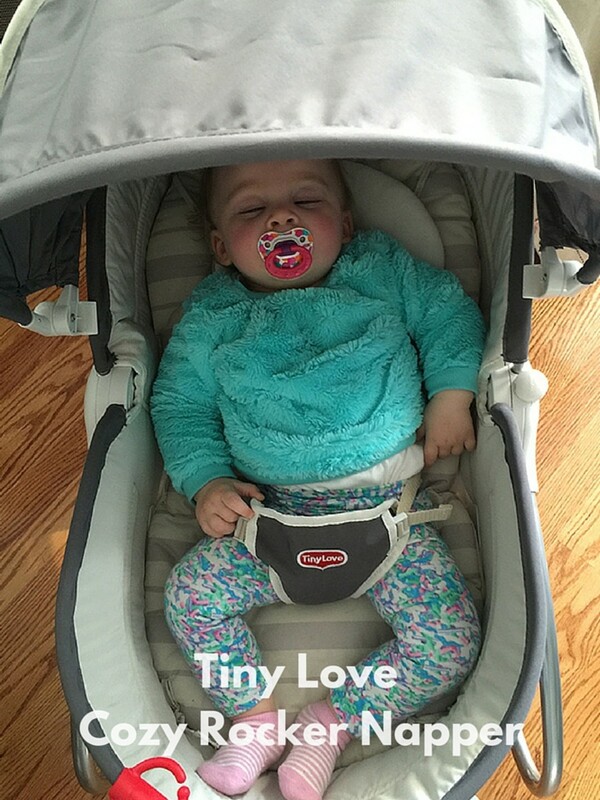 Thankfully, the Tiny Love Cozy Rocker Napper has been a major help in our house. When my three year old goes to preschool in the afternoon, I put “Little Sister” in her special chair and she sleepily plays for a bit. She enjoys the colorful toy and relaxing music. She bats at the mobile and coos at the gentle vibrations. 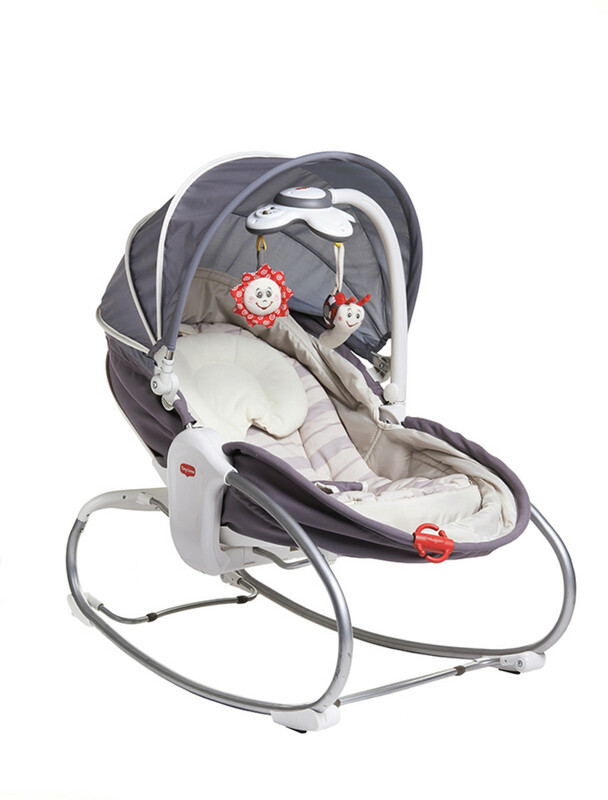 When I see that she’s fighting to keep her eyes open, I gently pop her binky in her mouth and softly rock her back and forth, before fully reclining her chair (the Cozy Rocker easily adjusts to three positions). Within minutes, Sweet P is having sweet dreams. I pull up the canopy and we both get some much-needed peace, privacy, and serenity. Best of all, I get to log in an hour (or two… or maybe even three—hallelujah!) of work. Now, that’s a win-win.